This week at aintitcoolnews.com Harry Knowles wrote a post revealing that Walt Disney Pictures may be about to announce that Tron 3 has been given the greenlight. Tron: Legacy has been successful at the box office, though not nearly as successful as Disney were probably hoping, and now that the film is effectively in the black, the company is apparently ready to begin development of the sequel. With a production budget of $170m and a worldwide gross of $300m, it looks on the surface like a no brainer. If, however, you take into consideration the marketing budget, which i would guess must almost equal that of the production, and it does not look quite so financially successful. The movie will make a small profit, particularly with merchandise and DVD/Blu-Ray sales yet to come, but conditions certainly don’t look ideal for a follow-up. So why would Disney want to make a third Tron movie when neither of the preceding two movies were particularly lucrative? The answer, from what i can see, is exactly legacy. It has been clear for a while now that Walt Disney Pictures have been looking for a new franchise, another money spinning license that will carry them through for several more years. It looks like they have chosen Tron to be that property. The greenlight will supposedly come because they feel the numbers now match up. I the sequel was always the plan, and that they’ve only held off on the announcement until the finances look respectable to keep up appearances. It was announced as far back as last March that a Disney animated Tron series would be coming between 2011 and 2012. Word is that it will plug the gap between the original 80’s Tron movie and the recent Legacy sequel. It would have made sense for this to have come out closer to Legacy’s release. 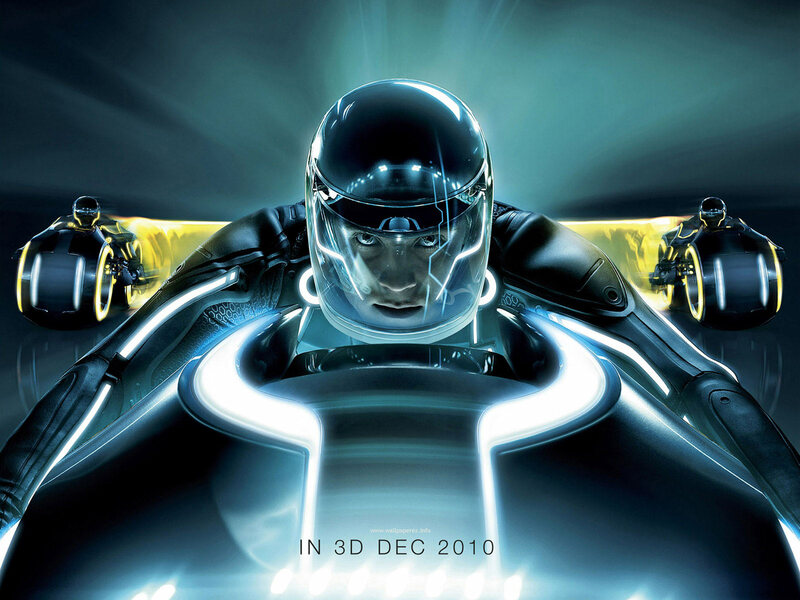 To have it instead coming out in another year’s time only really makes sense if Disney knew when it was originally announced that a third Tron movie would be coming between 2012 and 2013. Remember, this series was announced nearly a year ago. There were also clues in Legacy, not least of which a short cameo by a great actor, that there was more to come. The movie was clearly written with a follow-up in mind. Why do i care? I haven’t seen Tron: Legacy. I will probably rent it, but have no interest in going to see it in theatres. It does however frustrate me that the studio took it for granted that Tron would make large amounts of money. They have a formula, you see. Take a recognised property, put together a flashy looking film, promote the Hell out of it, and watch the money roll in. This is fine if attempts are made to ensure the end product is a great movie. Unfortunately, in recent years it seems that has not been the case. The first Pirates of the Caribbean movie was great fun, and made more money than expected. Two overblown, critically panned movies subsequently followed, making huge amounts of money. Smelling the cash, but without a thought for artistic merit, Disney created a monster franchise. After the third movie, they started looking for a new series to carry the torch. Earlier this year we had Prince of Persia, based on the popular videogame. With a big production and promotional budget, it was one of Disney’s hopes for the next big thing. Unfortunately, once again, quality of script took a back seat, and the movie was awful. Thankfully, it did not achieve enough box office success for a sequel announcement, though i have my suspicions we will end up seeing one. Tron: Legacy was obviously another attempt at a franchise, and it was the basket the company put their eggs in. Huge amounts of tie-in merchandise, the proposed cartoon series, and adverts everywhere have forced Tron into becoming a money spinning property. However, the critical reception for the movie was, once again, disproportionate to its success and the money pumped in to ensuring it. This, for me, is the worst part of the whole thing. Why are studios so blind to the benefits of creating a great story, with an interesting plot? Avatar had a good box office opening with flashy visuals and a powerful marketing campaign, but it also enjoyed great critical acclaim and fantastic word of mouth. What gave its theatrical run legs, and pushed it to the next level of financial takings, was that it was perceived as a truly great film. This meant that those who saw and loved it came back, in many cases multiple times. If Tron had been a better quality movie, those who pushed its takings to $300m would have come back again, and it could have made double that by now. A script can be reworked and polished for a fraction of the cost of an expensive marketing campaign, and can have the same boost on a movie’s revenue. It isn’t just Tron. According to Deadline.com, Disney have hired a writer to begin preparation for the fifth film in the Pirates series, despite the fact the fourth is yet to be released. To me, this seems just a little too arrogant and assumptive. I want to make it clear that i am not against sequels. If the demand is there, and the ideas are in place for a great follow-up, some sequels are well warranted. I do however feel that it would be more prudent to wait and see if the demand is high before development begins. It doesn’t cost a great deal to hire someone to put a script together, and do some pre-production preparatory work, but in the current financial climate you would think studios would wait and see if a project is financially viable before putting resources behind it. I suppose the problem is that studios have discovered that if enough money is put behind the marketing of a movie, it usually will be financially viable, so is worth the risk. To be fair, it is the studios prerogative to spend whatever money they want on whichever projects they think will succeed. It just irks me that we as an audience, and our attendance and hard-earned money, seem to be taken for granted more and more. Maybe the third Tron movie will be great, and the set-ups from Legacy will pay off beautifully. It will be a long time before we find out, but with video games, a cartoon series and a myriad of other merchandising coming our way, it will be impossible to forget that Tron 3 is coming. This entry was posted in Articles, News and tagged 80's, blockbuster, box office, budget, development, disney, film, gross, legacy, marketing, movie, news, pirates of the caribbean, prequel, promotion, script, sequel, tron, tron: legacy, update, walt disney pictures. Bookmark the permalink.